Joanna is the owner of one of the Caribbean's largest Technical diving companies, Divetech. Originally certified as an Open Water diver in Grand Cayman in 1997 she followed her passion for diving to the Florida Keys earning her NAUI Instructor rating in 2004 at Halls Diving Center and Career Institute. This was also her first experience on a rebreather, getting certified on the Drager. 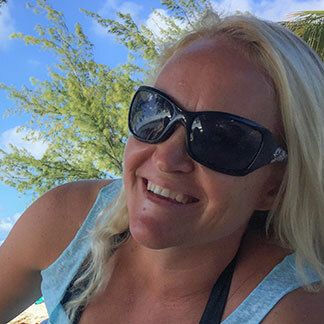 In 2005 she moved to the island of Oahu and earned her PADI Open Water Scuba Instructor rating and then went on to becomes a PADI Course Director in 2008. She worked as the Director of Training and Dive Operations at Ocean Concepts until the beginning of 2012. In 2012 she finally moved back to where it all began, Grand Cayman. Joanna picked up a few more certifications after moving to Divetech like SSI Freediving Level 1 Instructor as well as certifications on the Poseidon MKVII and the KISS Spirit Lte. After working for Divetech for 3 years she took ownership of the company towards the end of 2015 and has carried on the companies success as well as re-branding the company with her own touch of pink. 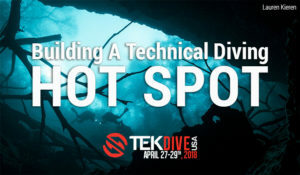 Divetech supports large technical events each year like Innerspace and 12 Mile Bank. Dive also lends assistance to local organisations to assist with the Lionfish culling on island and holds events to raise money for charities in the Cayman Islands as well as partnering up with organisations like Save Cayman to teach local kids how to dive and teach them about protecting the marine environment. Joanna has been featured in several articles in Diver Magazine, was chosen to be highlighted on Women’s Dive day by Fly and Sea Dive Adventures and listed as a top 5 influential female diver in the Dive Industry by PADI.